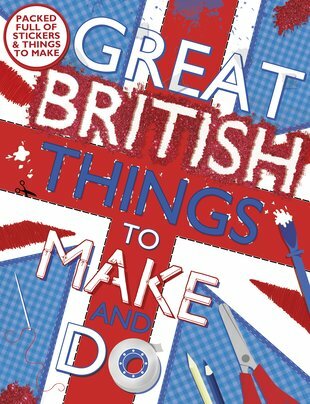 Great British makes for Mother’s Day, summer fetes and more. No one does bunting like us. Dozens of awesome projects that’ll make you proud to be a Brit – or let you check out all things British, if you’re not. Welly painting; a Mother’s Day afternoon tea; a St David’s Day buttonhole; a Bonfire Night woolly hat to knit; a Loch Ness Monster model. Just some of the treats on offer. The stickers are really cute and quirky too – including a knight in armour, a Highland cow and a teapot! My mum loved the Mother’s Day present I got from the book.